Sometimes you get so busy trying to be everyone else’s anchor that you don’t even realize you are drowning. These days our minds are running us. We are often stuck in stories rooted in fear and anxiety. We frequently worry about things beyond our control. Stress and anxiety are part of daily life for many. Instead of slowing down and tuning into our body, our heart and our intuition, we end up making big life decisions based on these false perceptions in our minds! How can we be led by the heart rather than let our minds rule us? How do we choose love over fear? Everything we have ever needed – our compassion, courage, calm, joy, love, connection, strength, peace, bliss – is within. The freedom in recognizing this simple truth can lead to great personal happiness, the most precious gift we can give ourselves and others. At Anchor Meditation, we provide you with the tools and space to let down your guard and go within your soul. Our teachers modernize the ancient wisdom of meditation in ways that it can be practically utilized to enhance every aspect of your life. We know that by living with intention we are able to elevate both our own lives and those around us. We help people experience a beautiful way of being. In the present moment, we recognize that happiness is our nature, and we are the primary makers of our own happiness. 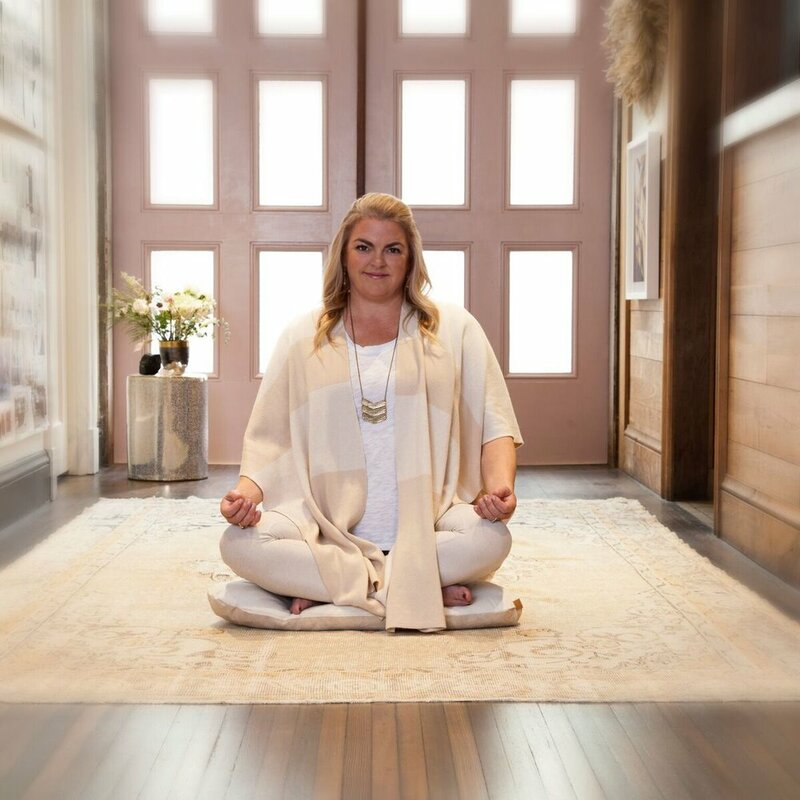 After experiencing the profound impact meditation had on her health and improved state of being, Kelly Ryan founded Anchor Meditation with the intent of sharing the benefits of meditation with others. Living in San Francisco and juggling a demanding corporate position and being a wife and mother of two, Kelly was craving space to breathe. After Kelly attended a life-changing wellness retreat, she felt the need to make meditation simple and more accessible to all, knowing that we can all benefit from a pause from our fast-paced lives. Her hope is that Anchor provides a place to slow down, reconnect, and anchor in the present moment as opposed to the past or future. ‘‘I have been building my practicing for many years, but always felt limited to the space of my own home. I had been looking for some time for a neutral place where I wouldn't be intimidated to explore my own discovery of meditation while amongst others.